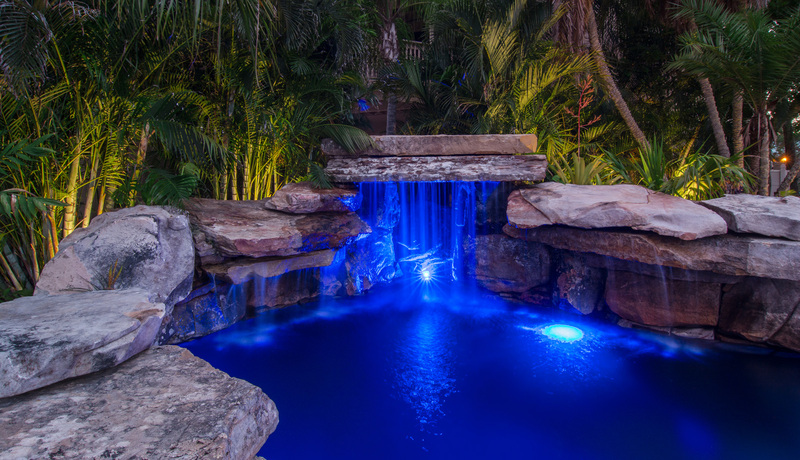 Featured on Episode 1 of Insane Pools, this canal-side Northern Natural fieldstone lagoon pool on Siesta Key, Florida boasts a waterfall, grotto, koi pond and tiki hut beach area. 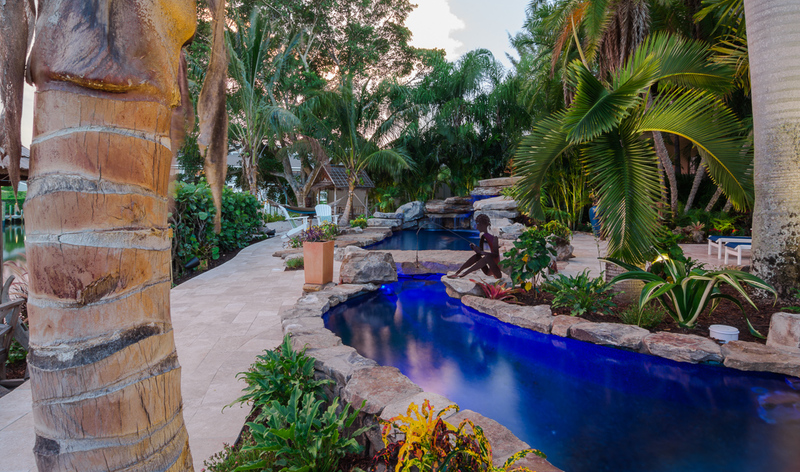 As a full pool remodel, Lucas Lagoons was tasked with creating a natural outdoor living space that blends with the existing landscape and view. 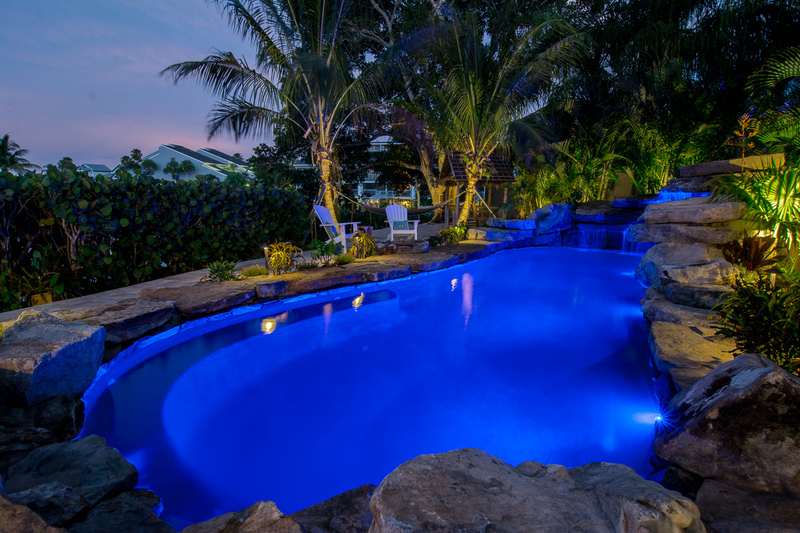 One client stipulation – there must be a pond to fit the family’s large Koi! 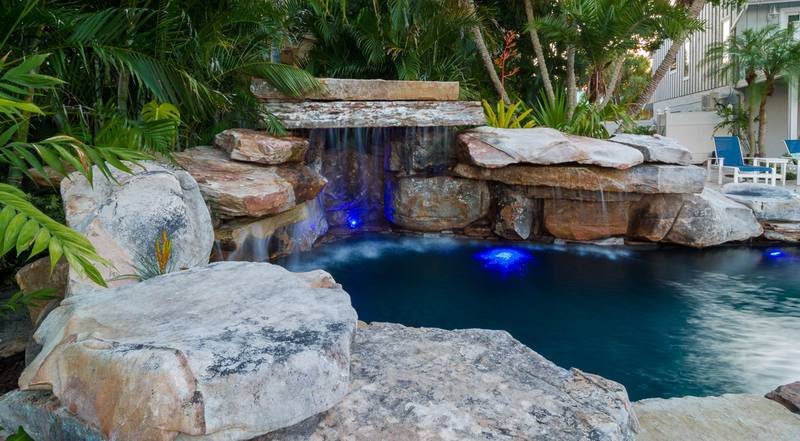 The agreed upon lagoon pool and koi pond design has a special feature – a Bridge over River Koi – tying both the pool and pond together seamlessly. 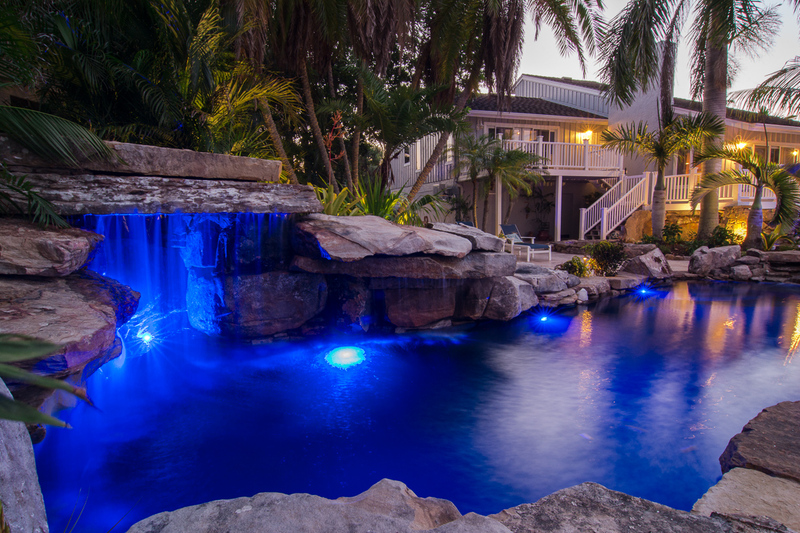 At about 20,000 gallons, this Florida lagoon project took over 48 ton of Tennessee Fieldstone, 1,000 Sq. 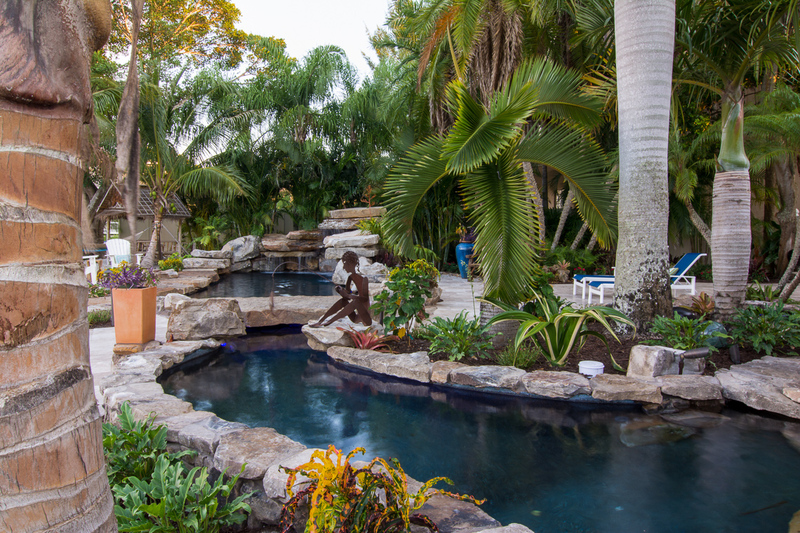 Ft of travertine decking, 600 sq ft of sandy beach area, all built to enhance the water view while the tropical landscaping adds privacy. In addition, the 400 Sq Ft Koi pond took an extra 24 ton of fieldstone, plus a large capstone bridge, hiding the fact that the two are separate “ecosystems”. 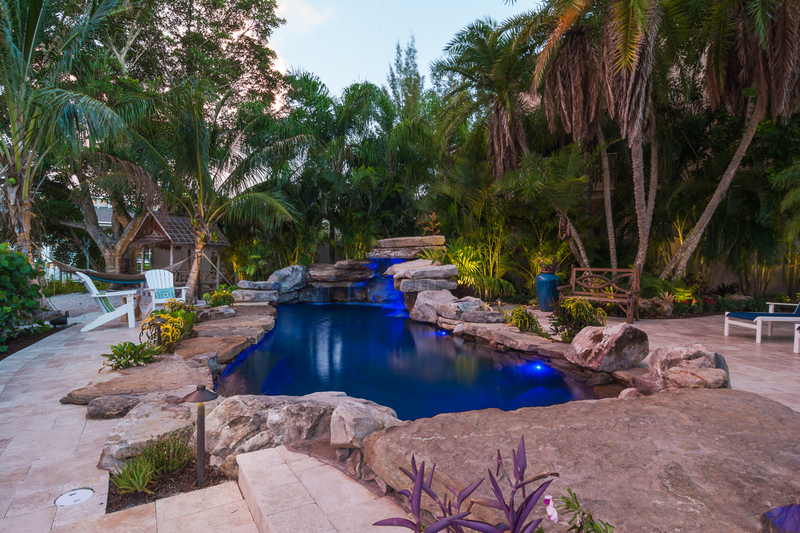 The project is finished off with a built in natural stone pool-side gas firepit, tiki hut, a hammock in the majestic coconut palms and an Aquaponics system that holds over 400 plants, all while cleaning the Koi pond!